Growing up I remember going to the carnival. I can still hear the screams from the rides and smell the elephant ears. But mainly I recall the thrill of going through the fun house. It was kind of funny to see myself in the crazy mirrors. Depending on the mirror I would look thin, fat, short, tall or have a big head; you get the idea. 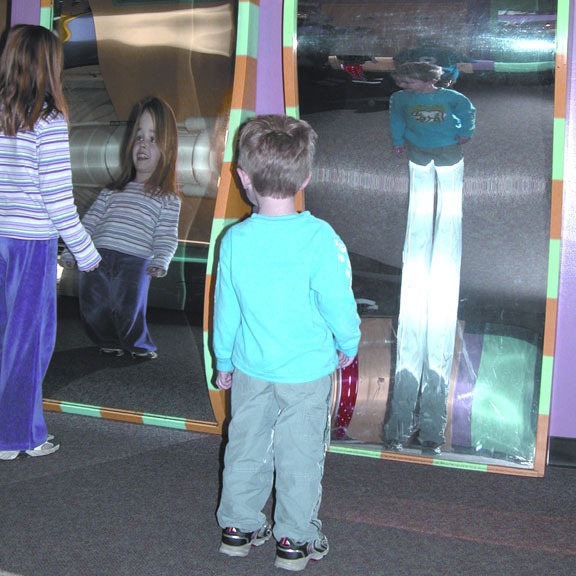 The fun house mirrors take our reflection and distort it. What is fun and humorous at the carnival can be destructive in the real world, but it is something many of us do — sometimes daily. We judge ourselves. We are looking at our own lives through a distorted lens. It is so easy to focus on our faults, both inside and out and start down the downward spiral of condemnation. You and I start thinking we are less valuable or even completely worthless because of our past. We can be our own worst enemy. However, when condemnation comes against you, let me encourage you to quote Romans 8:1–2 as a word weapon. These two verses are so powerful because no matter what you have done or will do, there is no condemnation in Christ. The Holy Spirit will convict us when we have sinned, so that we can repent. Condemnation, on the other hand, comes from Satan and ourselves. Therefore we need to remind the Enemy and ourselves that we do not walk after the flesh, but after the Spirit. Walking after the flesh is depending upon ourselves; walking after the Spirit is to depend upon God. When we fail, which we all will, that does not mean we are failures. It simply means we do not do everything right. We all have to accept that we have strengths along with weaknesses. Let Christ be strong in our weaknesses. Let Him be our strength on our weak days. Allow Christ to transform the distorted fun house lens you are seeing yourself through into the pure reflection of His love for you, getting rid of the guilt and shame. Your Turn: I challenge you to leave the fun house mirrors at the carnival. Sit down in front of a mirror this week and have a conversation with yourself about what you see in your life – inside and out – using Christ as your lens. Lord, I pray for all those reading this post today that they would stop looking through the distorted lens and judging themselves. Help them to draw close to You and repent, but then leave it all at Your feet and begin to view themselves through Your eyes not their own. In Your Precious Name, Amen. Thank you for this encouraging post this morning! You knew exactly what was on my heart and how I was feeling. As I was driving to work, I had the feelings of hopelessness, the good ol’ “why me”, and “I have messed my life up unto the point of no return.” These feeling along with I am a waste of space are starting to fade as I read and reread your post; and recite Romans 8:1-2. Thank you and God bless you, Jamy.